The Pennsylvania Conference for Women announced today that Michelle Obama, former First Lady of the United States, will participate in a conversation at the 14th annual Conference on Tuesday, October 3rd, 2017. More than 10,000 are expected to attend the event at the Pennsylvania Convention Center. Michelle Robinson Obama served as First Lady of the United States, from 2009-2017. 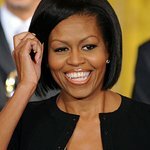 During that time, Mrs. Obama launched and led four key initiatives: Let’s Move!, to address the challenge of childhood obesity; Joining Forces, to support veterans, service members and their families; Reach Higher, to inspire young people to seek higher education; and Let Girls Learn, to help adolescent girls around the world go to school. Before becoming First Lady, Michelle Obama attended Princeton University and Harvard Law School. She started her career as an attorney at the Chicago law firm, Sidley & Austin, where she met her future husband, Barack Obama. She later worked in the Chicago mayor’s office, the University of Chicago, and the University of Chicago Medical Center. Mrs. Obama also founded the Chicago chapter of Public Allies, an organization that prepares young people for careers in public service. The nonpartisan, nonprofit Pennsylvania Conference for Women offers a full day of networking, inspiration, professional development and personal growth. In addition to a standout lineup of keynote speakers, the Conference will feature breakout sessions led by experts in the fields of business, philanthropy, leadership, finance, media and professional development. Previously announced keynote speakers include Dr. Brené Brown, courage and vulnerability researcher, #1 New York Times best-selling author and one of the top five most viewed TED speakers in the world; Shawn Achor, New York Times bestselling author of The Happiness Advantage; and Carla Harris, Wall Street executive and author. The Pennsylvania Conference for Women is presented by Beneficial Bank and Beneficial Foundation and generously sponsored by Bristol-Myers Squibb; Cisco; Drexel University LeBow College of Business; GlaxoSmithKline; Johnson & Johnson; PECO; Prudential; QVC Inc.; State Farm; Chase; DuPont; Macquarie Investment Management; Mastercard; Penn Mutual; Poo-Pourri; State Street Corporation; Villanova School of Business; ACME Markets; Amtrak; Dow Chemical Company; Erin Condren; Fine Wine & Good Spirits; Merck; PNC; Shriners Hospitals for Children; The Philadelphia Foundation; United Airlines and media sponsors WPVI-TV 6abc; Philadelphia Magazine; Philadelphia Media Network; and iHeartMedia. Registration is now open for the Conference. To register or learn more about the event, visit www.paconferenceforwomen.org.